The Avignon festival, founded in 1947, is one of the world’s greatest theater festival. 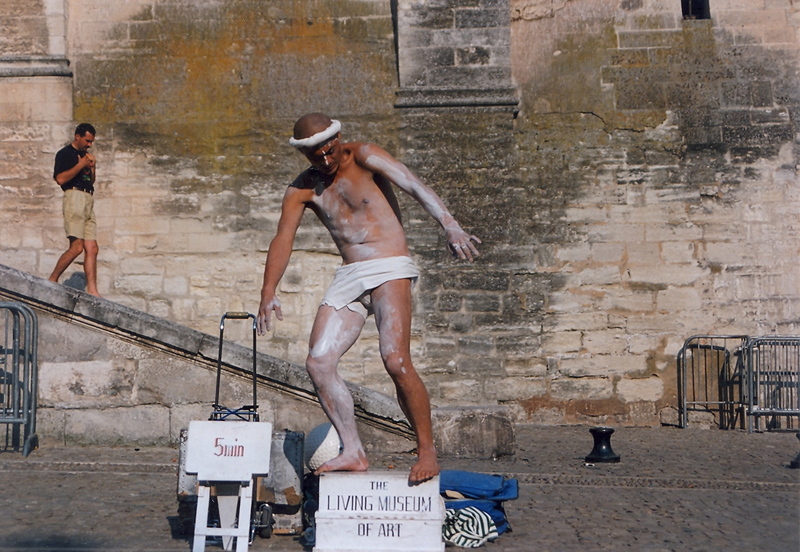 Alongside the official festival, there are many « off » shows and street performances like this one. July 1999. Le festival d’Avignon, fondé en 1947, est un des plus grands festivals de théâtre au monde. A côté du festival officiel, il y a beaucoup de spectacles « off » et de performances comme celle-ci. Juillet 1999.